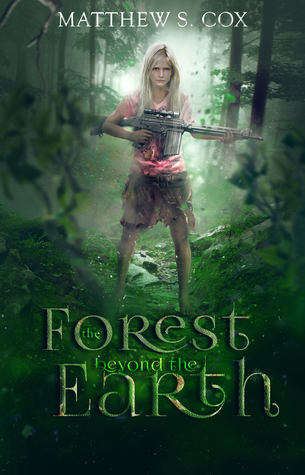 This is a YA Post-Apocalyptic novel that follows a young girl called Wisp, who is kept hidden away from the outside world other than the surrounding lands nearest her Haven which are known as the Endless Forest. Now that Wisp is twelve, she can have some extra freedom. But when that does happen, and a scary monster follows them both back to the Haven. When the sun rises, Wisp discovers that her Dad hasn’t returned. The only way to find him, is to break all of the rules and forget being safe. She has to venture out, and use her Dad’s rifle to defend herself against the so-called Tree Walkers, enemies that could kill her. This was an adventurous story as Wisp has to survive on her own, luckily the lessons her Dad taught her how to make some difficult decisions throughout the novel, as she tries desperately to find her Dad. The ending of the novel was what shocked me the most as a reader, a plot twist that I didn’t see coming at all. It was a visual journey, with the visual settings my favourite part of the experience. I loved the pictures at the top of the page lent themselves to the charm of the story. This is a written very well as the story unfolds from Wisp’s understanding on what goes on around her. This is very easy to read as it is aimed at YA market, sometime the imagination is so interesting that even adults enjoy it. Thanks for being on the tour! This sounds like a fun story and unique, too!